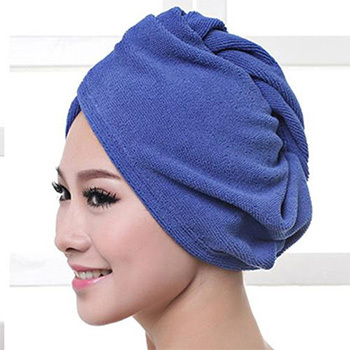 Everyone loves enveloping themselves in a big fluffy towel after a long and luxurious bath, but have you ever tried to wrap your hair in one of those? Your neck feels as though it will fall off under the weight of that heavenly BODY towel. Time to invest in something truly special for your hair. 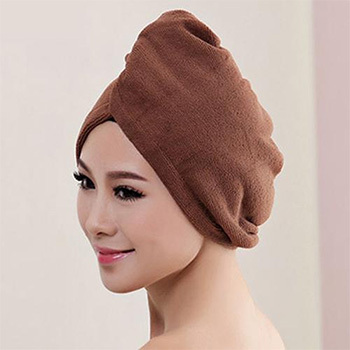 This super cool towel has been designed to dry your hair with very little material and a perfect fit. Simply slip-on this beauty after a shower or bath and you can go about your business until you are ready to style your hair as needed. Available in Blue, Coffee, Rose, or White.